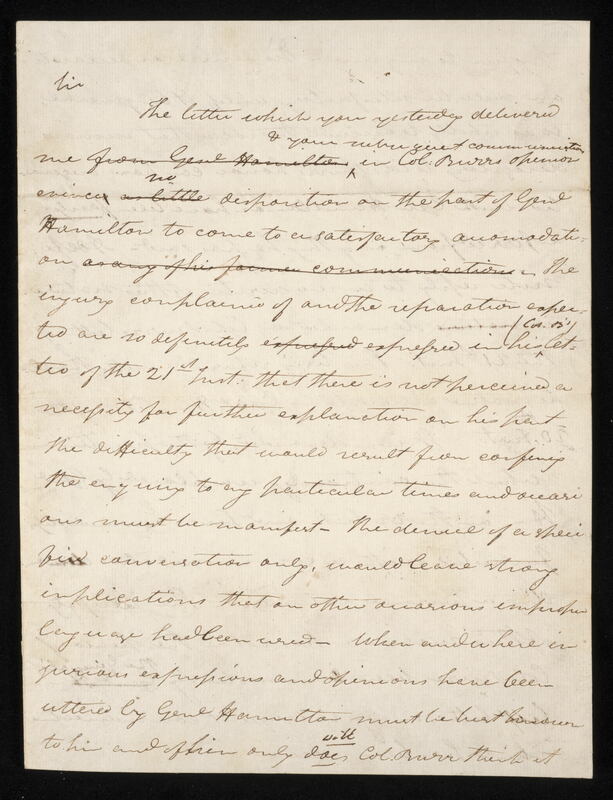 The letter which you yesterday delivered me and your subsequent communication in Col. Burr’s opinion evince no dispostion on the part of Genl. Hamilton to come to a satisfactory accommodation. The injury complained of and the reparation expected are so definitely expressed in his (Col. B.’s) letter on the 21st Inst. that there is not precieved a necessity for further explaination on his part. The difficulty that would result from confining the inquiry to any particular times and occasions must be manifest. The denial of a specified conversation only, would leave strong implications that on other occasions improper language had been used. When and where injurious expressions and opinions have been uttered by Genl. Hamilton must be best known to him and of him only does Col. Burr think it proper to enquire. No denial or declaration will be satisfactory unless it be general so as to wholly exclude the idea that rumors derogatory to Col Burr’s Honor can have originated with Genl. Hamilton or have been fairly inferred from anything he has said. 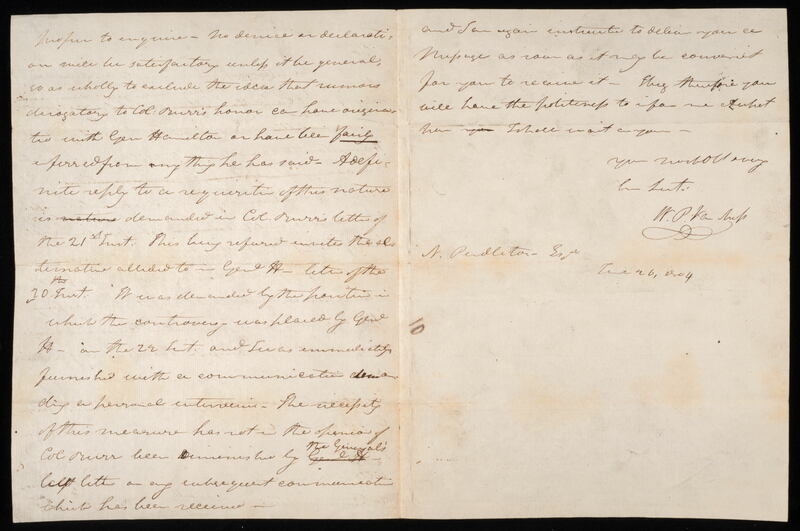 A definite reply to a requisition of this nature is demanded in Col. Burr’s letter of the 21st Inst. This being refused, invites the alternative alluded to in Genl. 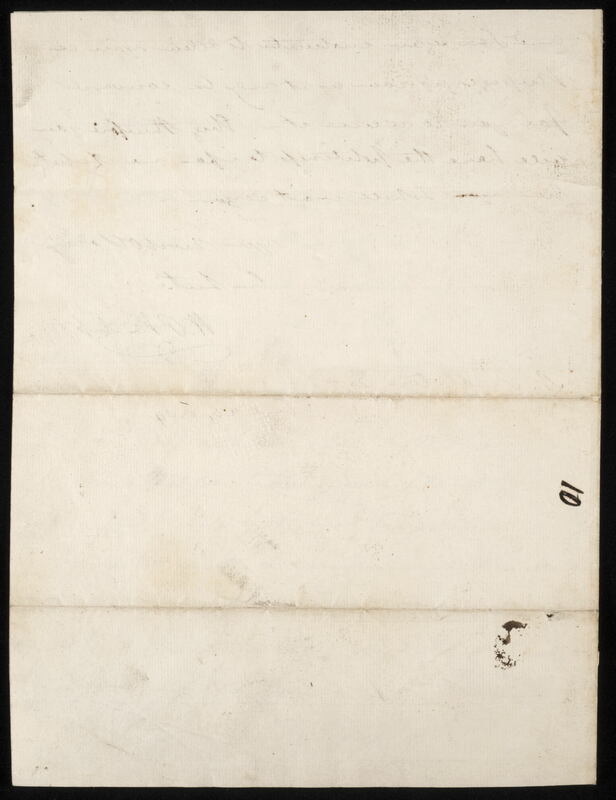 H.’s letter of the 20th Inst. It was demanded by the position in which the controversy was placed by Genl. H. on the 22nd Inst., and I was immediately furnished with a communcation demand- in a personal interview. The necessity of this measure has not in the opinion of Col. Burr been diminished by the General’s last letter or any subsequent communication which has been received and I am again instructed to deliver you a message as soon as it may be convenient for you to receive it. I beg, therefore, you will have the politeness to inform me at what hour I shall wait on you. Your most obt & very hum. Servt.